Air Chief Marshal Mujahid Anwar Khan was speaking during a visit to the forward operating bases. Pakistan’s Air Force chief on Monday said challenges before the country "are not over yet" and asked his officers to keep their "guard up" as, commenting a six days after his pilots engaged in an aerial with India. Air Chief Marshal Mujahid Anwar Khan was speaking during a visit to the forward operating bases (FOB), where he met combat and ground crew, air defence and engineering personnel, troops and civilian staff, a Pakistan Air Force (PAF) spokesperson was quoted as saying by Dawn newspaper. 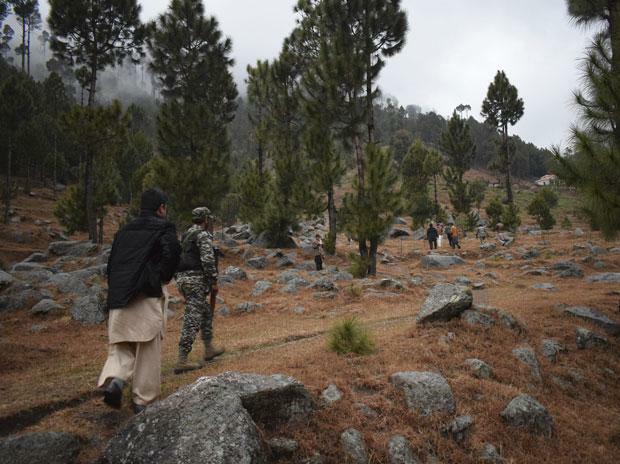 Amid mounting outrage, the Indian Air Force carried out a counter-terror operation, hitting what it said was a JeM training camp in Balakot, deep inside Pakistan on February 26. The next day, Pakistan retaliated with a large air formation, comprising 24 fighter jets, including F-16s. "The challenges are not over yet, and we should keep our guards up and always be ready to respond to any aggression from the adversary," Khan said, referring to the Indian air strikes in Balakot. Recalling the shooting down of an Indian aircraft by PAF jets last week, the air chief said the entire nation is "proud of PAF, which did exceptionally well in safeguarding the sovereignty of our country in the recent conflict with the enemy." An Indian pilot was captured by the Pakistani forces. On Thursday, Pakistan Prime Minister Imran Khan told a special joint sitting of Parliament that his government was releasing the pilot as a "peace gesture". The pilot returned to India from Pakistan on Friday to a hero's welcome, nearly 60 hours after he was captured following a dogfight when his MiG 21 was shot down. The move was seen as a step by Pakistan to de-escalate tensions with India, but the air chief instructed PAF personnel to not let their guards down.